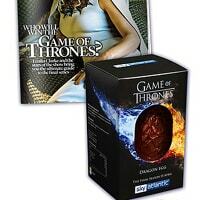 You can get a free Game Of Thrones Special Edition Easter Egg but you will have to hurry up as this offer is only valid for today. Follow our link and read full details about this offer their website. You will have to pickup today's copy of Daily Mail and inside you will find this offer. Click on “GET IT HERE” button and then follow instructions given above to get this free chocolate egg today.